Denmark is one of the preferred destinations for international students, thanks to its world class education in areas such as life sciences, social sciences, engineering and IT. Students get to study in a friendly, safe and innovation-driven environment. The Danish education system is designed to promote innovation, and creativity, as well as critical and analytical thinking. The benefits of studying in Denmark include access to innovative teaching and high academic standards. Students who come from outside the EU/EEA and Switzerland are required to pay tuition fees of between €6000 and €16,000. There are scholarships available from institutions and public funded schemes like the Danish Government. 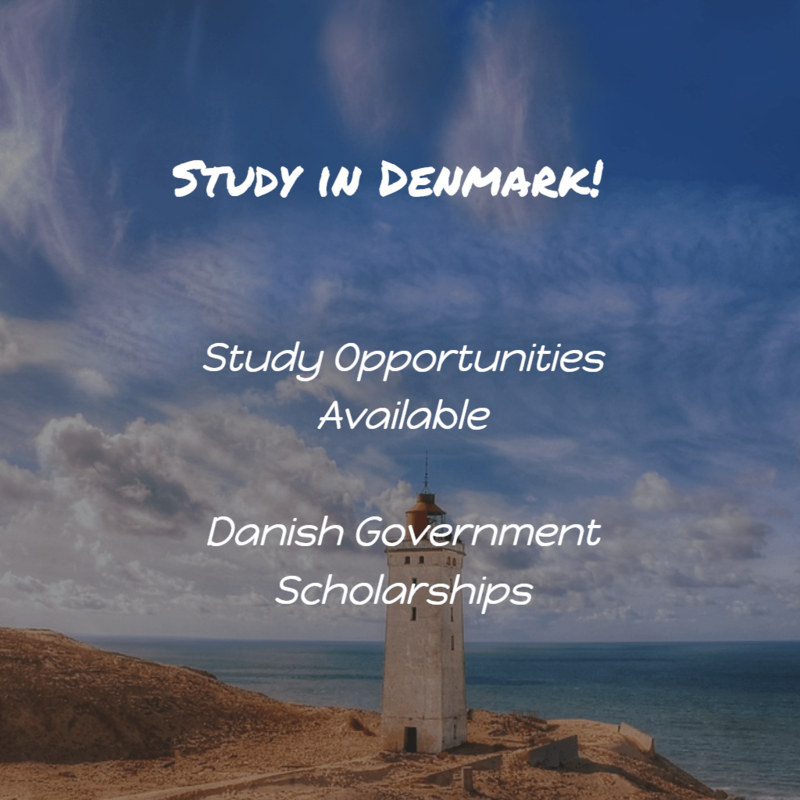 These scholarships are available at selected Danish universities. The Danish Government Scholarship Scheme offers scholarships for highly qualified non-EU/EEA citizens who wish to pursue undergraduate studies at UCN. First, fill in the scholarship application form, including a motivation letter stating the reasons for applying to UCN and your reasons for applying for the specific program in question. Next, apply and be accepted to one of the English-taught study programs offered at UCN. Candidates on UCN’s priority list must start the application for a residence permit for Denmark before they get the first decision of the scholarship application so that they are not late for the commencement of studies.